If you know anything about us, it’s that we’re ridiculously passionate about what we do. It’s almost a borderline nerdy obsession sort of situation. The thing is, we love our clients, and we love the chance to show off our skills while promoting something they’re excited about. To us, mixing our passion with a client’s passion is the perfect recipe for success all around. So, when the opportunity to showcase our talent while promoting a local beer surfaced, well, you know where this is going. It was almost a year ago when we started to help Dale Bros Brewery polish their look, and the project has come a long way. They had just moved to a new location, and the timing of a rebrand couldn’t have been better. First, we started by helping them rebrand their logo. After hanging out with Curt and Andy Dale, we got a sense of their personalities and their approach to creating tasty beer. It wasn’t long before we realized that these guys did things differently. They were two personalities that fit better in tie dye t-shirts than business suits; they were interested in making beer for their friends before making a buck. It was clear they were different than other breweries. They were the black sheep of breweries. Dea got to work. There were already some great elements of the logo that Andy and Curt had incorporated over the last ten years, and she didn’t want to leave any of their hard work behind. She spent hours illustrating two black sheep. One for each brother; one for each unique personality. The logo stared out from her screen, and its simplicity summarized everything without any explanation. 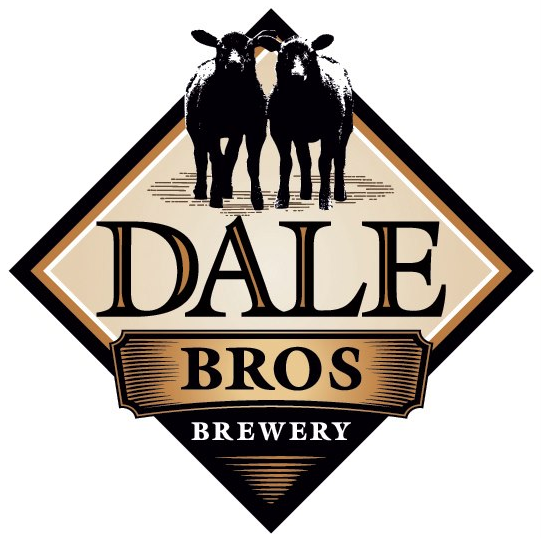 The new logo was a perfect representation of everything the Dale brothers were about. 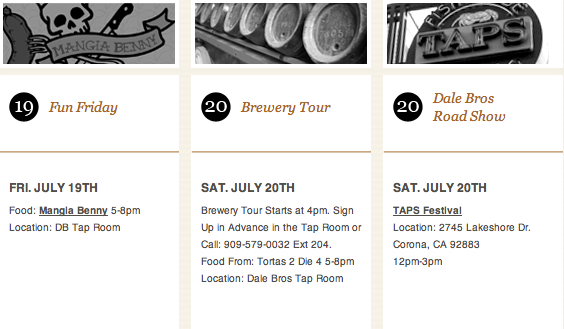 Mike went to shoot the new tap room, the brewing process, and the Dale Bros staff. Illustrator and Photoshop remained open, and our glasses stayed full. Adorned with Santa hats, the new black sheep logo made its debut right on time for the Hoppy Holiday’s Event. We sent out an email blast, put together postcards and flyers to promote the event. 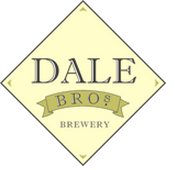 For Dale Bros loyalists, it was a sneak peak of the many changes to come. We put together promotional materials including special commemorative glasses, posters, email blasts and took to social media to spread the word about their anniversary celebration. 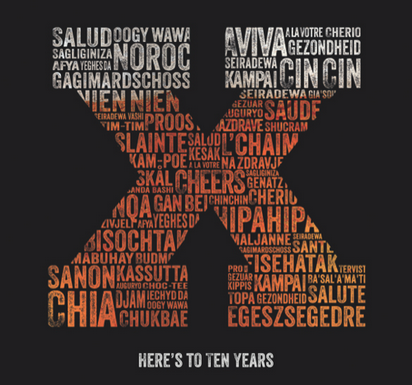 Our copywriters became experts with top ten lists that celebrated beer and the brand with perfection. It was more than a success; we’re pretty sure Cheers to Ten Years went down in Upland history for one of the best parties of all time. Each month we kept the momentum going by promoting events, staying current on social media sites and making sure beer lovers like us were always up to date with new releases and happenings. We got local shops and businesses to promote their brand, reached out to new customers, and kept the same honest communication with veterans of the brand. When the days began to grow longer we knew it meant backyard BBQ season was upon us. Picnickers packed newly labeled bottles of Dale Bros beer into their ice chests right next to their potato salad. The new labels had reworked beer descriptions, black sheep logos and a refreshed look we were proud of. And The Site Went Live! 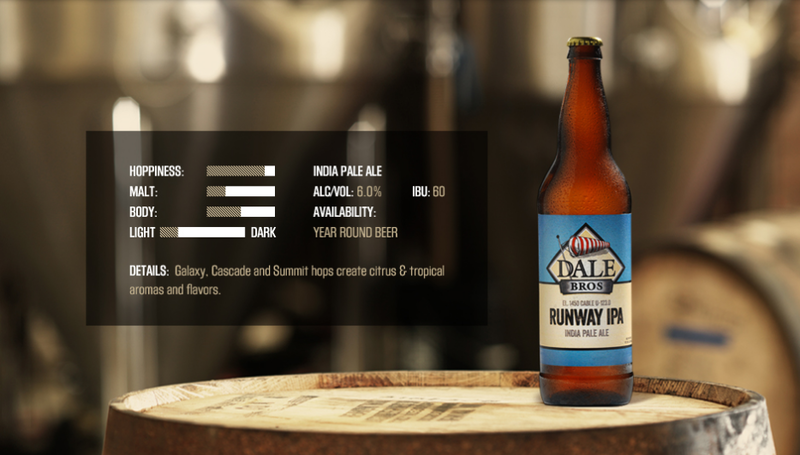 Finally, after ten months of work, seven events, five new beers and countless foamy sips, we made the new Dale Bros site live. The mobile friendly site is complete with their new logo, new photos, new copy and lots of new features. 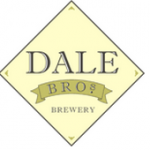 You can read about the Dale Bros brewing family, follow their blog, learn about their beer and find out the latest news on their events page. 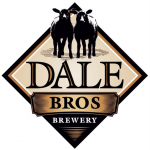 Check out their site at dalebrosbrewery.com, or go visit them in their tap room and get to know the black sheep of the brewing industry.